June 29, 2015 June 29, 2015 Scala2 Comments on Data Science & Spark:- Data visualization for processing out the key factors using Zeppelin. What is it a data scientist yearn for most? For me it’s Data Visualization. We know that under those massive layers of junk there is always something important hidden that can get noticed with the visualization. More importantly we need analytics for establishing relationship among all the values which could be quite hassling if done manually given how large and unstructured the dataset we may have. While working on spark, I stumbled upon the most basic and very well structured dataset found from “Kaggle” competition “Titanic”. Now the very first thing I wanted was to visualize this dataset in graphical form to understand better relationship among constraints. One of the way to do that is via Zeppelin. 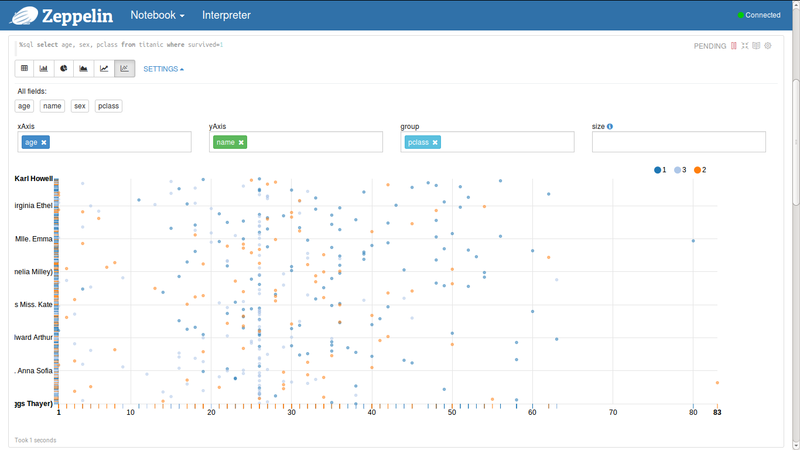 Zeppelin provides a web based notebook that allow user to build reports for data analytic. In this blog I am going to explain about Zeppelin installation,configuration and graphical representation on Titanic data set. 3. It can be easily set up with the Spark Cluster. 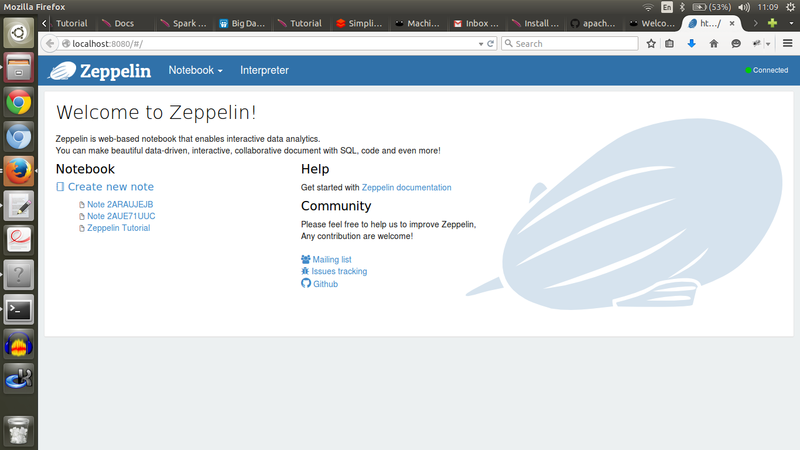 I have set up Zeppelin via incubator downloaded from Github repository. Since I have Spark 1.4.0 installed on my system. I executed command “sudo maven -X clean package -Pspark-1.4 -Dhadoop.version=2.2.0 -Phadoop-2.2 -DskipTests” (here -X enables exceptions,if there are any, to be displayed). Once the downloading process is completed it would look like this. 2. From “Notebook” tab we can create new notebook:- These Notebooks act like an interface in which one can type and execute text based commands. 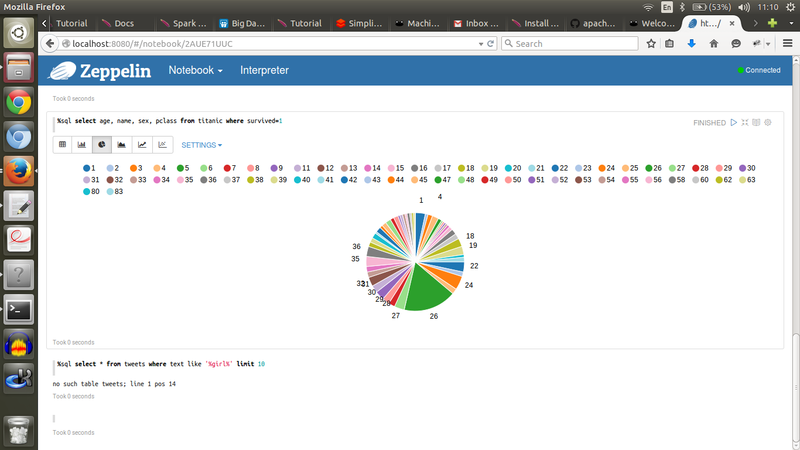 2.1 In first step we have created a spark context which reads data from csv. 2.2 Then we have created a case class and mapped the CSV content. 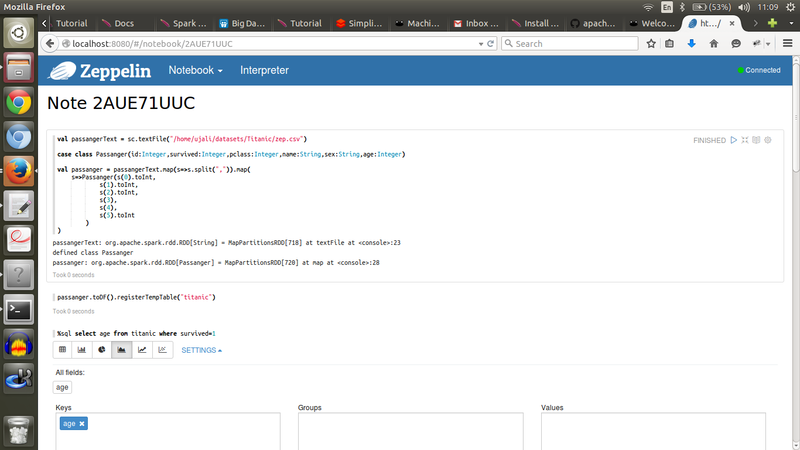 The queries should be prefixed with %sql to invoke sql interpreter. 4. Right next to these chart options we can see “Settings” tab. These is used to maintain the variables for graphs, such as for following diagram which elements should present y-axis , which should present x-axis, their grouping attribute etc. could be selected. This plotting of data allows one to get data insights and which helps in selection of predictive model would be best for the requirements of our data set.